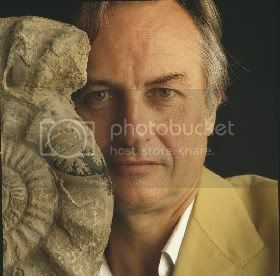 Richard Dawkins recently spoke at the Liberal Democrat Conference 2009 in Bournemouth, UK. He is the author of the book “The God Delusion” and the Professor of the Public Understanding of Science at Oxford University. This speech transcript was first published at The Guardian. It is a lamentable observation that because of the way our laws are skewed toward the plaintiff, London has become the libel capital of the world. Litigants are coming to England from another country to sue people who live in a third country over a book that was published in a fourth country – the excuse being that a handful of books were sold here too. A nice little round-the-world jaunt for lawyers it may be, but sensible or liberal it is not. Nor is it just. Of course there must be redress if you are maliciously attacked in a way that damages you. But if such a law is cast too wide it has disastrous consequences on the public interest, not least in the area of science and medicine where the stakes are high, profits and reputations are guarded jealously, and the vulnerable need to be protected from unproven or fraudulent claims for cures, whether by “alternative” therapists or big pharmaceuticals. As a scientist, and as Oxford’s inaugural Professor of the Public Understanding of Science, I have sometimes wondered why science itself cannot sue for libel. You can legally lie about the real world to your heart’s content, but until some human being is materially damaged, nobody will complain. Teachers can legally tell innocent children the palpable falsehood that the world is less than 10,000 years old (the true figure is more than 4.5 billion years). The world cannot sue you for lying about its age, because the world cannot prove that it has been damaged by the lie! Back in June leading academics, publishers, journalists, performers, clinicians and scientists issued a public statement backing that courageous hero Simon Singh. The British Chiropractors Association has sued him for criticising chiropractic claims to cure asthma and other childhood complaints. I and many of my colleagues fear that, if Singh loses, it would have major implications on the freedom of scientists, researchers and other commentators to engage in robust criticism of scientific, and pseudoscientific, work. It is possible in medicine, even when you intend to do good, to do harm instead. That is why science thrives on actively encouraging criticism rather than stifling it. Dr Ben Goldacre, who writes on science in the Guardian, was bogged down for years defending – ultimately successfully – a libel claim brought in London by a German millionaire vitamin pill salesman who was promoting his pills as a cure for Aids in sub-Saharan Africa. Scientists often disagree with one another, sometimes passionately. But they don’t go to court to sort out their differences, they go into the lab, repeat the experiments, carefully examine the controls and the statistical analysis. We care about whether something is true, supported by the evidence. We are not interested in whether somebody sincerely believes he is right. There exist objective methods for discovering whether he is, as a matter of fact, right. If he is wrong, the evidence will show it, and – notwithstanding Judge Eadie – be blowed to whether he is sincere in his error or not. If the British Chiropractic Association was really sincere, it wouldn’t go into court to sue Singh. It could have taken up the Guardian’s offer of a right to reply. Or better, it could go into the lab and do an experiment to show him wrong. Why doesn’t it submit its case to the higher court of scientific test? I think we all know the answer. Or will I be sued for saying that? The trouble is, it’s hard to know. That is the point. Do we really want discussions on matters of science, evidence and medicine, and indeed any area of public interest, to be conducted in an atmosphere of fear and uncertainty?